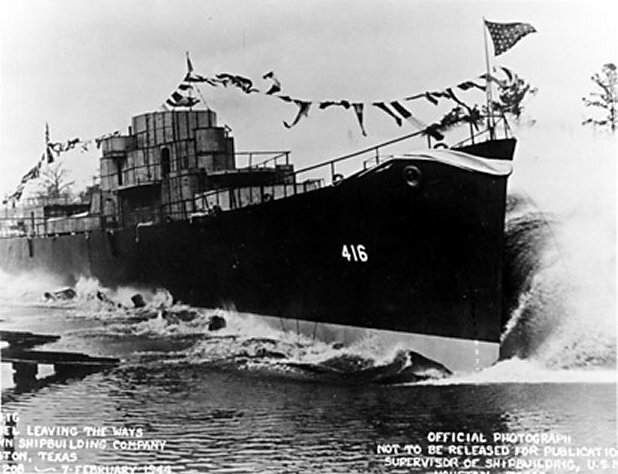 03 January 1944: Keel laid at the Brown Shipbuilding Co., Houston, Tex. 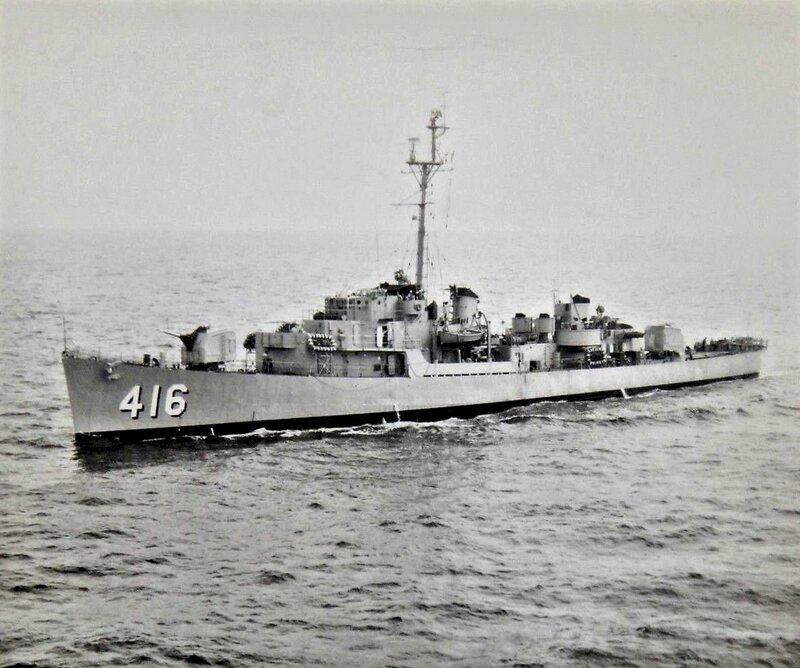 28 March 1951: Recommissioned at San Diego, Lcdr. 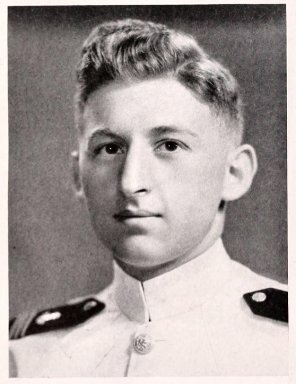 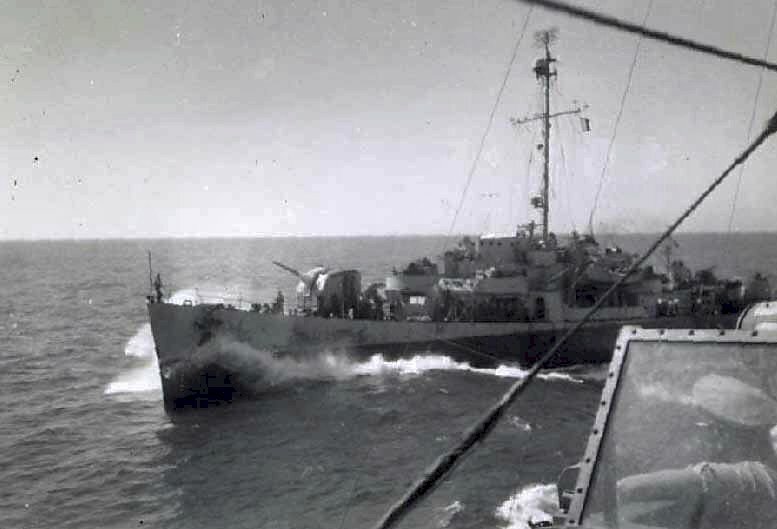 P. H. Teeter in command, assigned to Destroyer Force, Atlantic Fleet, at Melville, R.I.
June 1958: Assigned to NRT 1st Naval District at Davisville, R.I., soon moving to Providence, R.I.
214k Summer 1953: Copenhagen, Denmark - Four destroyer escorts make a Scandinavian port visit during a North Atlantic Midshipman Cruise. 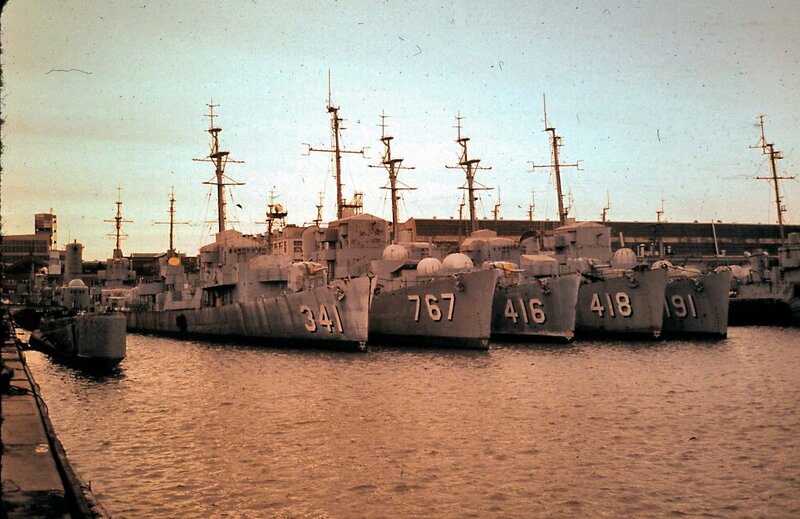 From left to right: USS Raymond (DE 341), USS Melvin R. Nawman (DE 416), and USS Chester T. O'Brien (DE 421), with a fourth unidentified DE aft. 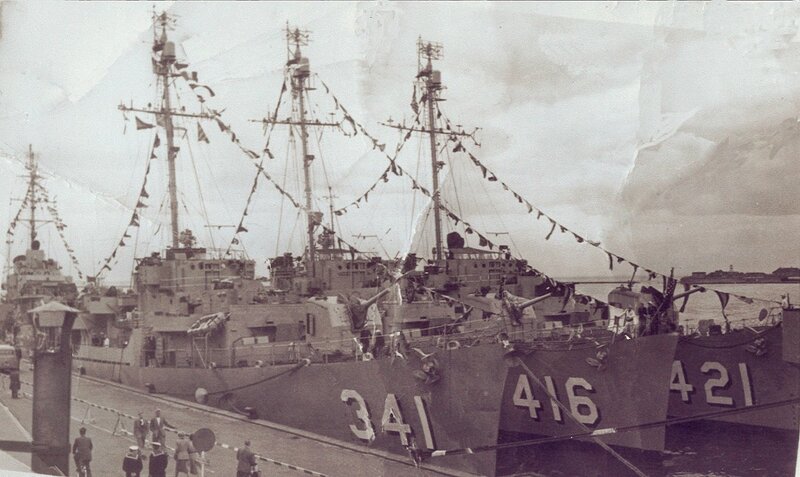 This photo is part of the CT-DESA exhibit which is displayed at our CT-DESA chapter events. 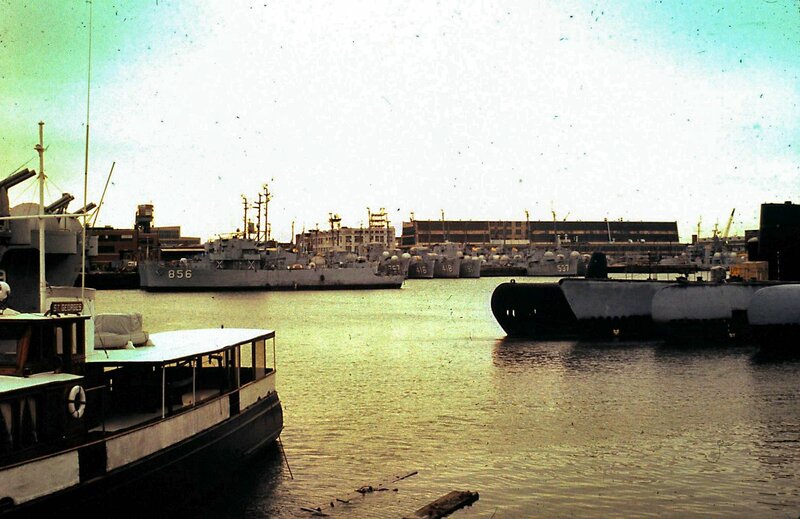 99k August 1960: Military Ocean Terminal, Bayonne, N.J.
287k Winter 1972 - Spring 1973: Philadelphia, Pa. - A closer view from the corner of Intrepid Ave. and S. 16th St. Again we see Oswald (DE 767), Melvin R. Nawman, Tabberer (DE 418), and Coffman (DE 191). 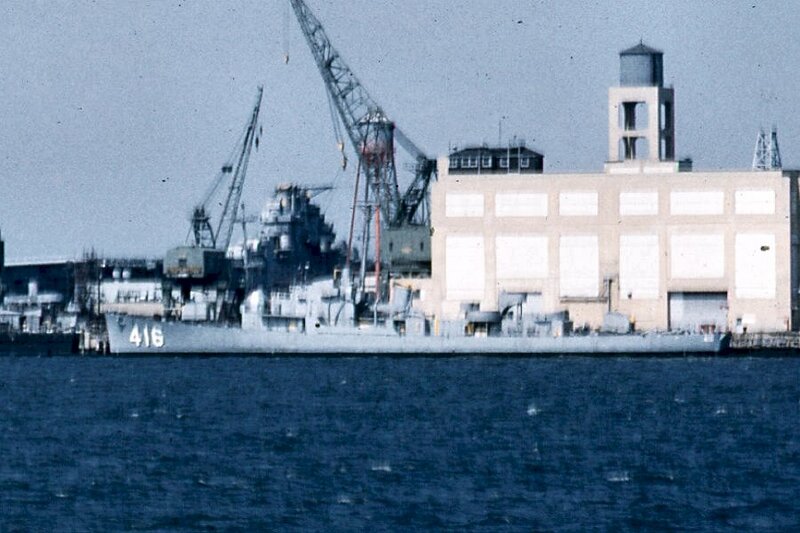 In this view we also see an unidentified decommissioned AGSS and Raymond (DE 341). 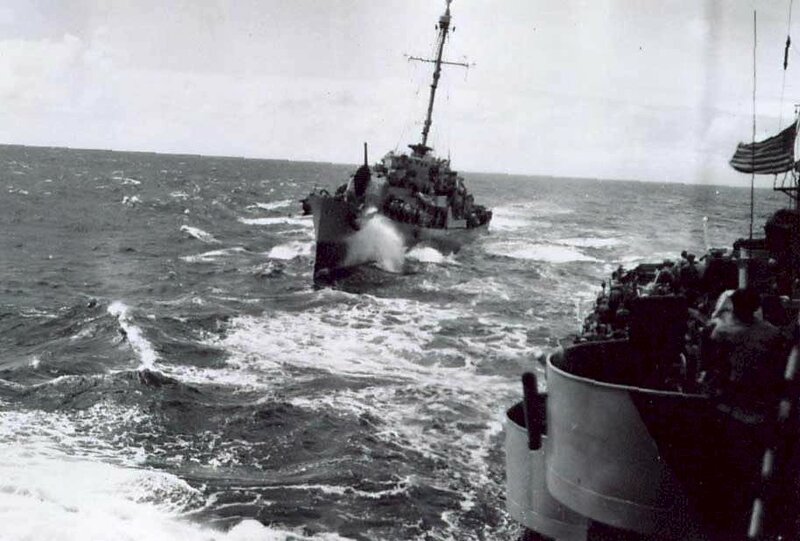 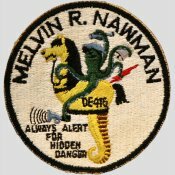 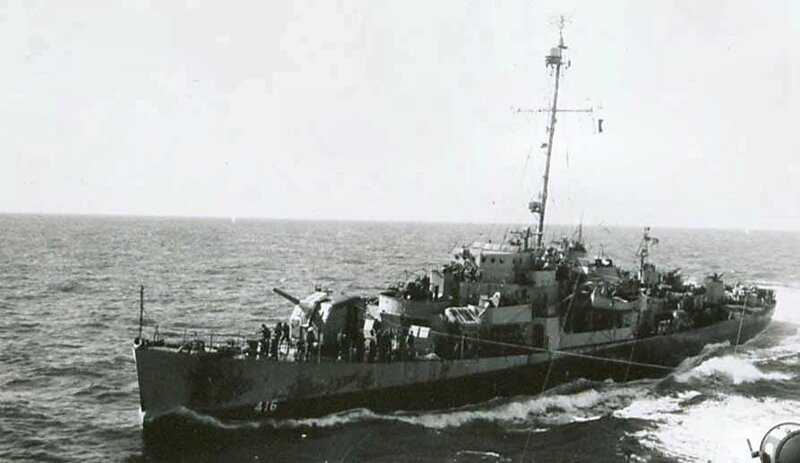 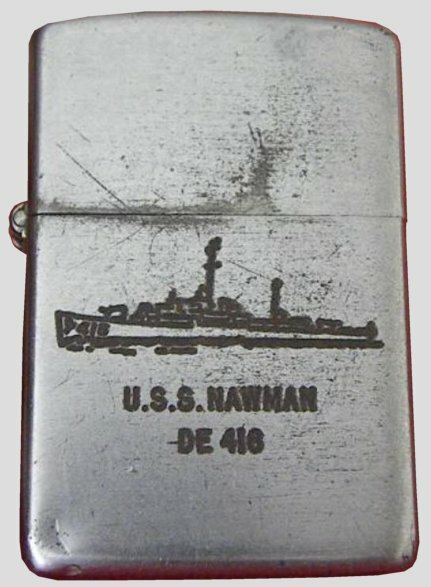 View the USS Melvin R. Nawman (DE 416) DANFS history entry located on the Naval History and Heritage Command web site.